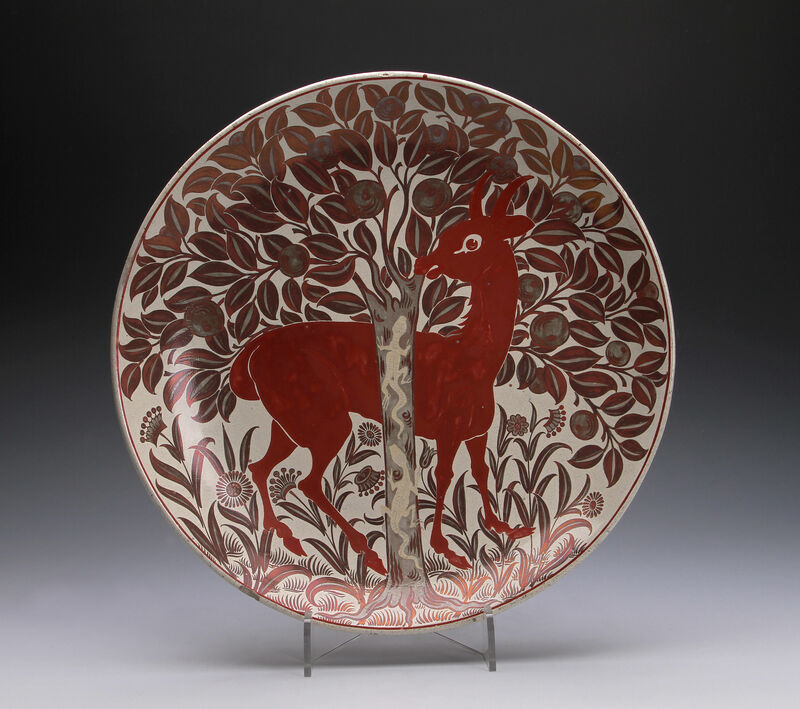 Painted by Charles Passenger in a ruby lustre and grey on a cream ground with an antelope standing behind a fruit tree with two lizards climbing up the trunk. 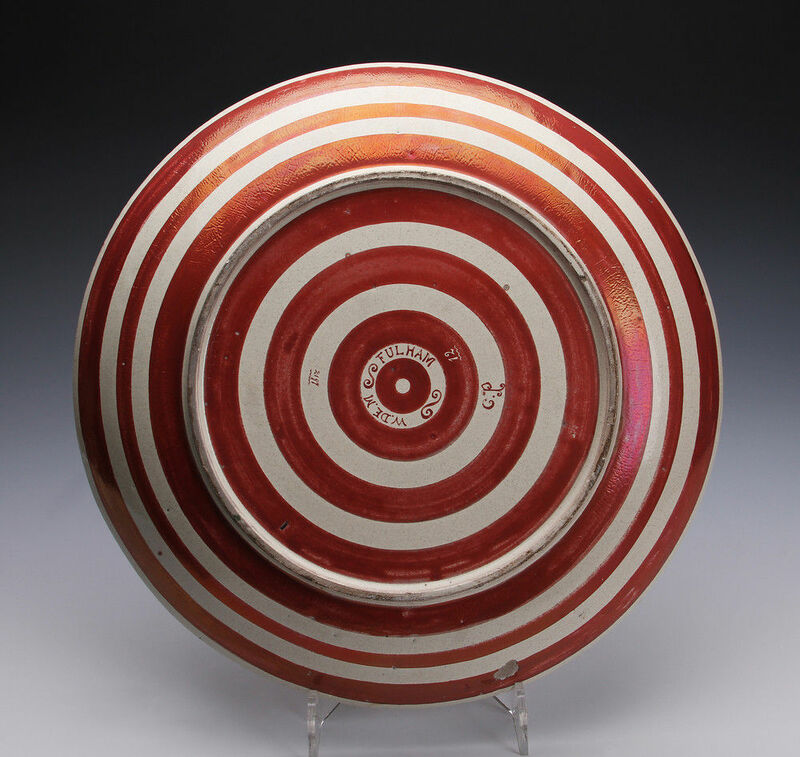 The reverse is painted with concentric circles of ruby lustre. The Fulham period (1888-98) was the period in De Morgan’s career in which the greatest variety of works was produced. The original drawing for this painting is in the Victoria and Albert Museum , accession no. 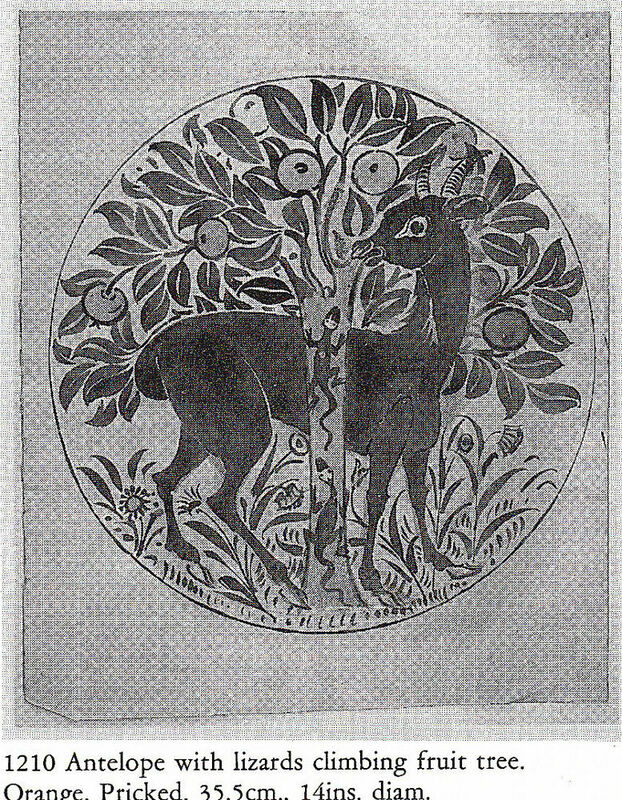 E1210-1917 and is part of the collection of drawings given to the V&A by William de Morgan’s widow after his death in 1917. 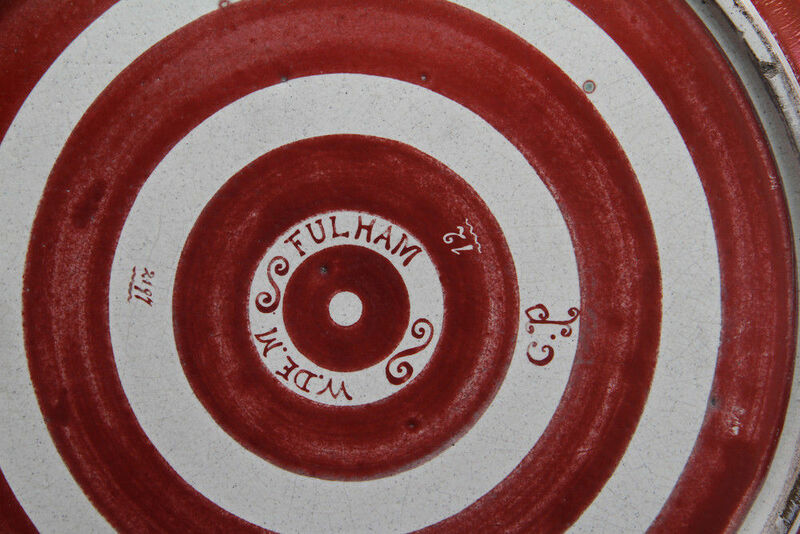 Condition – chip at ‘7 o’clock’, glaze flake on the reverse and small chip to footrim.